Collateral is a gripping, high-octane thriller set in present day London, written by the pre-eminent playwright David Hare and starring Academy-Award nominee Carey Mulligan. It is David Hare's first original series for television. There has been a fair amount of film and television drama about the two formative events of the early century - the invasion of Iraq and the 2008 financial crisis. But of the third great challenge - the waves of migration prompted by war, poverty and fresh persecution - we have seen much less. The 21st century looks as if it will be a time of mass movements, and corresponding mass resentment of mobility. It looks to me as if privileged societies are urgently looking for ways of protecting their wealth, and of keeping the poor outside their boundaries. For all our talk of encouraging initiative and enterprise, foreign entrepreneurs who travel the Mediterranean by boat seem especially unwelcome. Donald Trump’s proposal for a wall with Mexico and the UK’s vote for Brexit are both evidence of attitudes hardening in the West towards aspirational newcomers. As a viewer, I have always loved drama like Cathy Come Home, The Boys From The Blackstuff and A Very British Coup, which succeeded in moving television fiction into new areas. At its start, Collateral may seem to be familiar. After all, it does involve a police investigation. But I hope you will notice the absence of any of the usual apparatus of police procedurals. I can promise you there are no shots of computers or white boards. After an illegal immigrant is shot in the opening moments, I am much more interested in exploring how the death of one individual, who has lived out of the sight of respectable society, resonates and reaches into various interconnecting lives. One of the common paradoxes of our time is that even as we lose faith in public institutions, so our belief in private virtue holds steady. 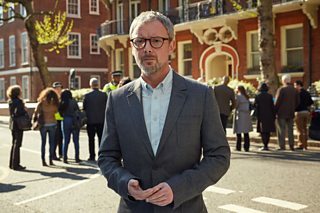 Collateral takes us through various British institutions - the police, the Church, politics, the army, and, most especially, through our weird and shaky detention system - and asks why so many organisations seem deliberately structured in a way which prevents individuals being allowed to exercise their own judgements and standards. Why are we feeling disempowered? I have come late in life to writing my first episodic television, but I was guided by two expert producers, George Faber and Mark Pybus. When SJ Clarkson joined to direct, then we began to observe a strange phenomenon. Not a single actor turned us down. We got our first available choice for every role. This seemed to us evidence that if you seek to annexe new subject matter on television everyone will want to join you in the endeavour. 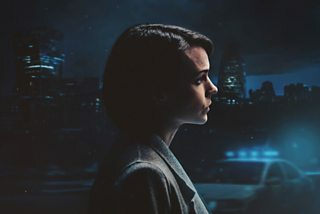 By the time Netflix allied with the BBC, and Carey Mulligan, Billie Piper, Nicola Walker, John Simm and Nathaniel Martello-White were foreground in SJ’s gritty, fleetingly beautiful urban landscapes, I was pretty much in TV heaven. I hope you enjoy Collateral too.